Search Results for "consulting room"
Examination of a patient's eye using a light in the optometrist consulting room. Examination of a patient's eye using Tonometer pressure test in the optometrist consulting room. Portrait of beautiful asian women patient at ophthalmological examination in consulting room. Young smiling female doctor sitting at desk, working on computer with medical documents in light office in hospital. Woman in medical gown with apple in consulting room. Healthcare, medicine concept. Doctor cardiologist reviewing medical examination results in his consulting room. Portrait of a young woman doctor in glasses with a stethoscope and a green Apple in the clinic. Woman in medical gown with apple in consulting room. Healthcare, medicine concept. EL ALTO, BOLIVIA - CIRCA NOVEMBER 2017: Bolivian men sitting outside of a shaman consulting room during la Feria del Alto. 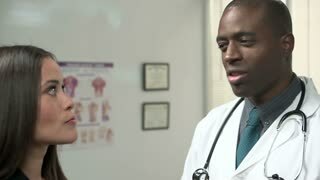 Middle aged female doctor specialist in white gown comes in consulting room, puts x-rays on the light board and sits at computer to examine images, steady cam tracking shot, active real scene. 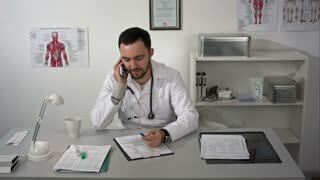 Doctor is filling out forms after medical examination in his consulting room. Doctor in the consulting room, filling out forms after a recent medical examination. Portrait of asian senior male patient at ophthalmological examination in consulting room.